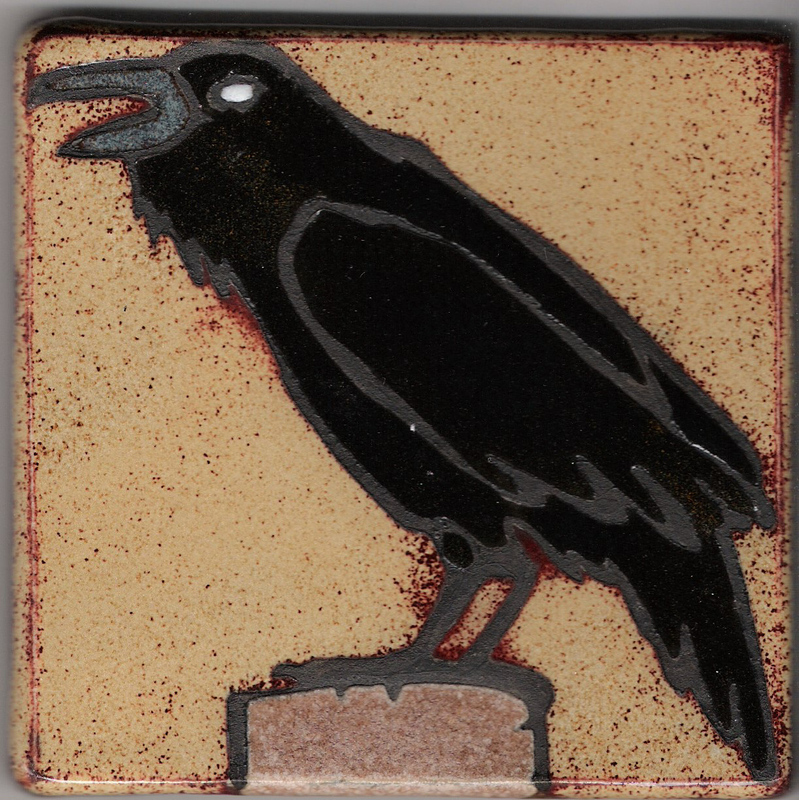 Raven, facing left, 4″ x 4″ x 0.4″, multiglazed, cone 6 oxidation, Cook Inlet glacier clay. Used a nice creme breaking red for the background. Ravens are one of Anchorage’s winter birds and are fun to watch. They hang around the taller buildings and play in the updrafts. This entry was posted in 4" Tile and tagged Alaska, Anchorage, Arctic, art, art tile, ceramic, ceramic tile, Clay, Inupiaq, mud flats, Raven, tile. Bookmark the permalink.